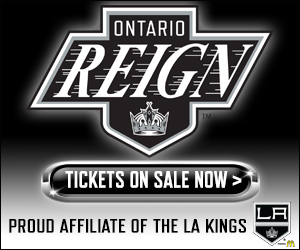 Just as you thought you might be reading the same old story, the Ontario Reign called an audible. 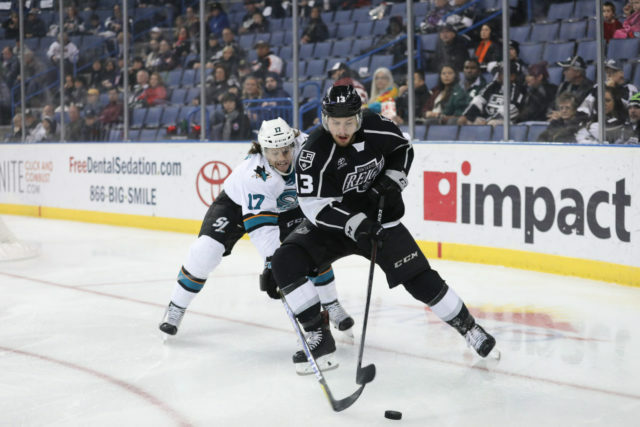 Tied 2-2 midway through the third period, a bad break went against the Reign – Defenseman Kurtis MacDermid was given a boarding call on what was undoubtedly a clean hit, unjustly putting the Reign on the penalty kill. Six seconds later, Ontario trailed 3-2. There has been many a night this season where that break would have sunk the Reign, but tonight felt different. 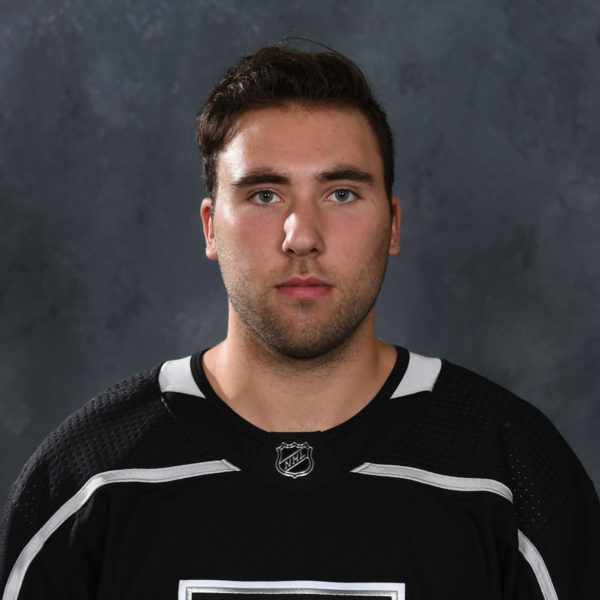 The Reign kept charging and got what they deserved with just over three minutes to play, as forward Brett Sutter tied the game at three, with a shot through traffic that may have tipped off of forward Nikita Scherbak…..regardless, the game was tied inside the final miutes. Would they settle for overtime from there? Not so fast – Forward Zack Mitchell’s shot and rebound found Sam Herr in close proximity and the Notre Dame alum slotted it calmly home for the game-winning goal as the clock read just 39 seconds to play. The late goal capped off what was one of Ontario’s best performances of the season. 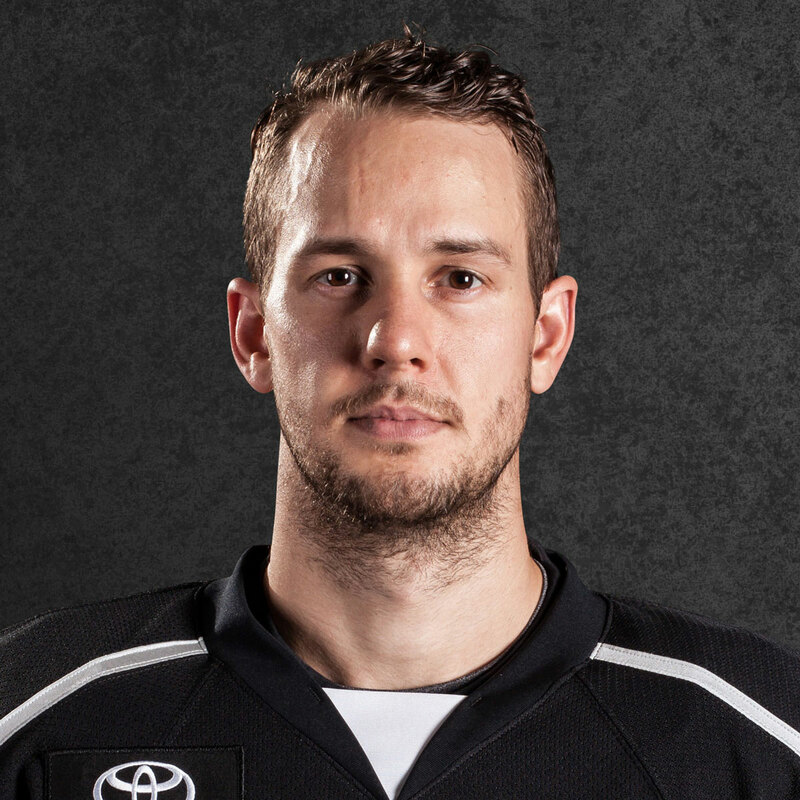 Goaltender Cal Petersen made 52 saves, surpassing his career highs at both the AHL and NHL levels. 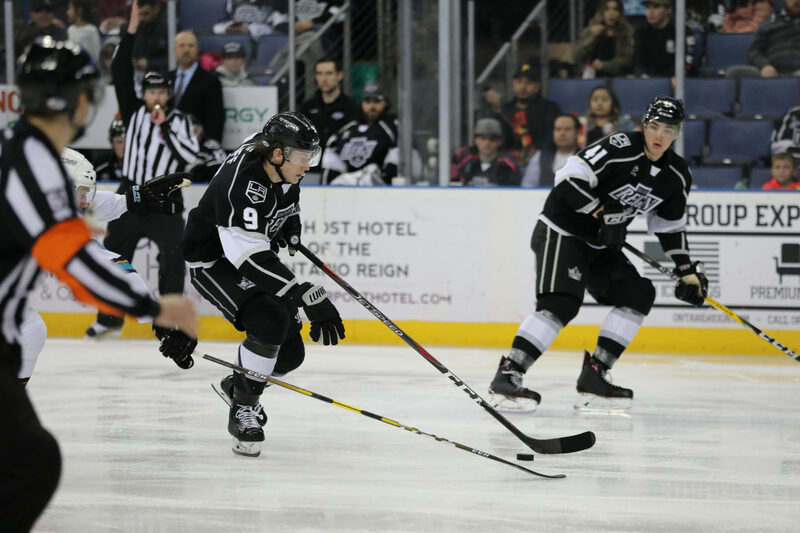 The Reign looked lively throughout the 60 minutes and created several chances on the evening. A defeat tonight would have been harsh on what was a strong effort and the pushback the group showed down the stretch was encouraging, especially when considering that today’s opponent in San Jose had the Western Conference’s best winning percentage entering the game. 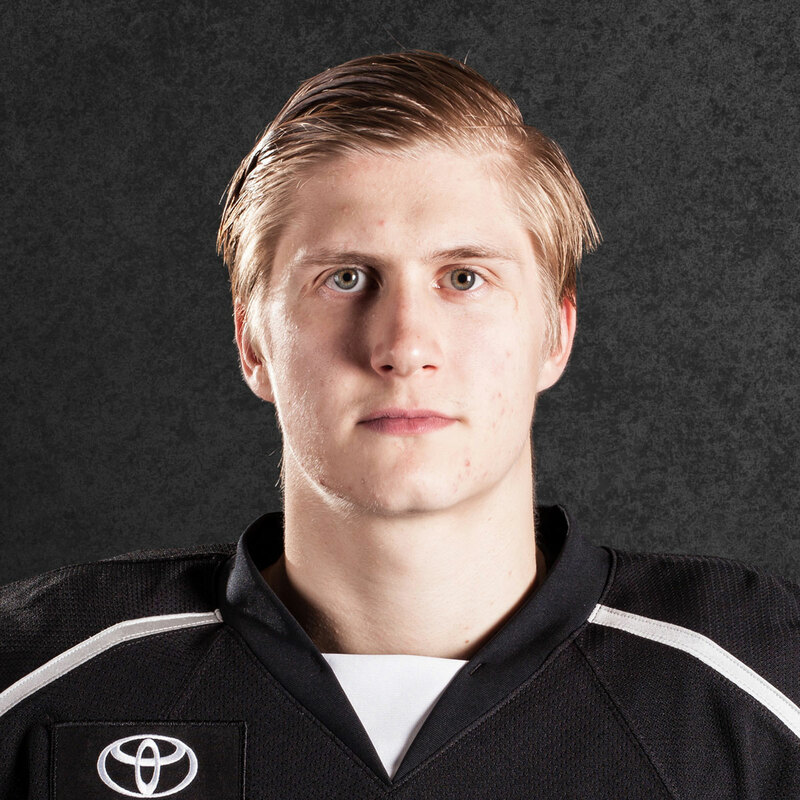 Forward Philippe Maillet tallied both the Reign’s non-third period goals and now has three straight multi-point games, with eight points (3-5-8) in total over that stretch. 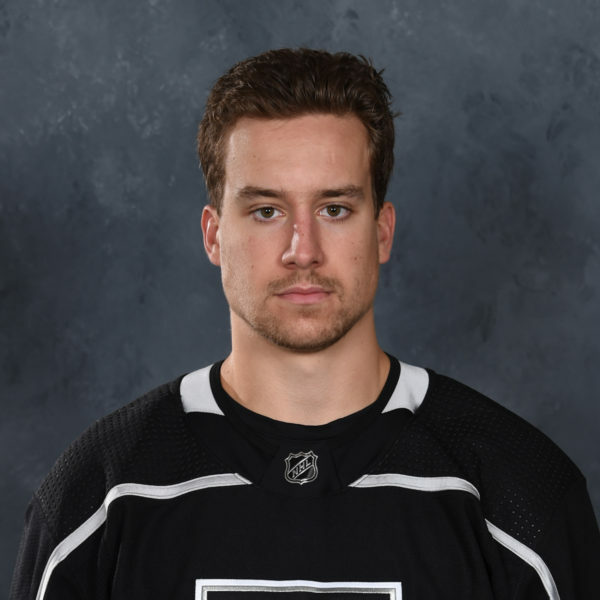 Forward Matt Luff, in his first game back with the Reign, tallied two assists and now has 14 points (6-8-14) from 13 games played this season in the AHL. Matt Roy collected another helper on the man advantage and is tied for second in the AHL in power-play assists amongst defensemen. 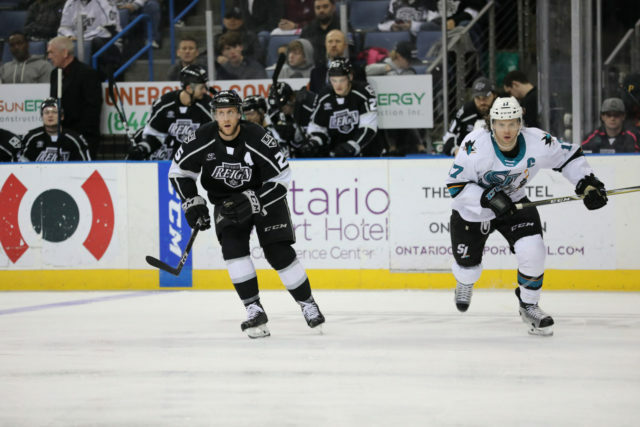 Ontario dodges a midweek game this week and will move forward towards a home-and-home set against the AHL’s hottest team, the Bakersfield Condors, this coming weekend. The Condors blew out San Diego last evening by a 7-1 final and has now won 12 straight games. 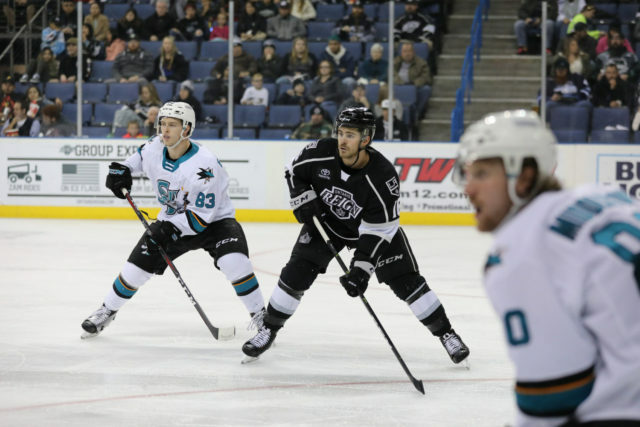 The Condors play on Wednesday against Stockton and if they are victorious, the Reign will have two chances to end the Bakersfield streak, beginning on Friday at home, where the Condors have won each of the prior three meetings, and again on Saturday at Rabobank Arena, where Ontario won the lone game to date back in November. Yeah, it was a great game. It’s funny how the game goes. Sometimes, you come in here and you ask me what happened or what went wrong and you give up a couple in the third. When you stick to the details, and your structure of what you need to do, you’re going to get opportunities going the other way and I felt today that we did a much better job of that. We had some chances and we did a good job of capitalizing on them. That’s the biggest thing and it’s a good little testimony to the resolve this group of guys has. Big Derm is such a big part of our penalty kill. When he’s in the box, there seems to be, and I don’t know what the exact statistics are, but we seem to give up a power-play goal against, that’s how valuable he is to us as far as the penalty kill goes, blocking shots. I think tonight, he might’ve had double digits in blocked shots. It’s tough, but we gave one up and there was still seven-plus minutes to go and I just liked the reaction of the guys on the bench. They were just like “okay, we’ll just go back to center and start over again,” and they did and it was great. Sometimes, this season, we’ve given up another one to the opposition and tonight we just dug in and said “okay, we’re going to get one ourselves” and we did. Well first of all, when Luffer comes back to us, he comes with a great attitude. There’s no “woe is me, I’m getting hosed because I got sent down.” He just picks up right where he left off, he feels comfortable here. It’s familiar surroundings for him, he gets to play with his dad / billet father that he lives with and it’s the attitude. If you come down with the right frame of mind and you’ve got a couple of things to work on, or maybe you’re just coming down because they want you to play more minutes in the situations that you need to because he hadn’t played in awhile. In order for him to go back up, he has to take advantage of those opportunities and every time he’s come down he’s been great for us.